Inappetence associated with chronic kidney disease is likely multifactorial, including an increase in inflammatory cytokines and uremic toxins that affect the CNS. Inappetence associated with respiratory disease is likely attributed to significant pulmonary disease (eg, pneumonia, cancer) interfering with normal functions. 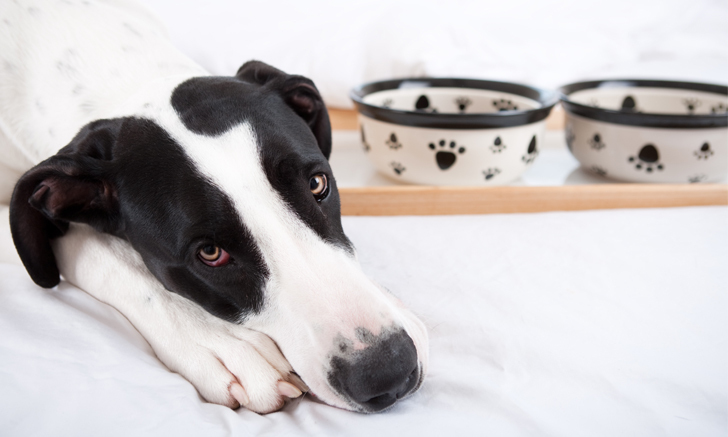 To the client, inappetence (hyporexia, anorexia, dysrexia) can be the first—or only—sign that something is wrong with their pet.3 Early identification and intervention can help minimize the risk for continued inappetence that may further complicate underlying conditions. In selecting methods to correct an altered appetite, appetite physiology and underlying disease pathology should be viewed cohesively to create the best treatment plan and yield the most positive clinical outcome. Hall JE. Guyton and Hall Textbook of Medical Physiology. 12th ed. Philadelphia, PA: Saunders Elsevier; 2011:845-848. Klok MD, Jakobsdottir S, Drent ML. The role of leptin and ghrelin in the regulation of food intake and body weight in humans: a review. Obes Rev. 2007;8(1):21-34. What is inappetence? Aratana Therapeutics. https://entyce.aratana.com/about-inappetence. Accessed June 2018. Freeman LM. Cachexia and sarcopenia. In: Ettinger S, Feldman E, Cote E, eds. Textbook of Veterinary Internal Medicine Expert Consult. 8th ed. St. Louis, MO: Elsevier; 2017:739-744. Hoskins JD. Keys to managing end-stage heart failure. DVM360. http://veterinarynews.dvm360.com/keys-managing-end-stage-heart-failure. Published November 1, 2008. Accessed June 2018. Domanjko Petrič AD, Lukman T, Verk B, Nemec Svete AN. Systemic inflammation in dogs with advanced-stage heart failure. Acta Vet Scand. 2018;60(1):20. Ettinger SJ, Feldman EC. Textbook of Veterinary Internal Medicine. Vol 1. 7th ed. St. Louis, MO: Saunders Elsevier; 2010:171-175. Allen DG, Gyles CL, Patton S, et al. Disorders of the stomach and small intestines in dogs. Merck Veterinary Manual. https://www.merckvetmanual.com/dog-owners/digestive-disorders-of-dogs/disorders-of-the-stomach-and-intestines-in-dogs#v3202599. Accessed June 2018. Freeman LM. Cachexia and sarcopenia: emerging syndromes of importance in dogs and cats. J Vet Intern Med. 2012;26(1):3-17.